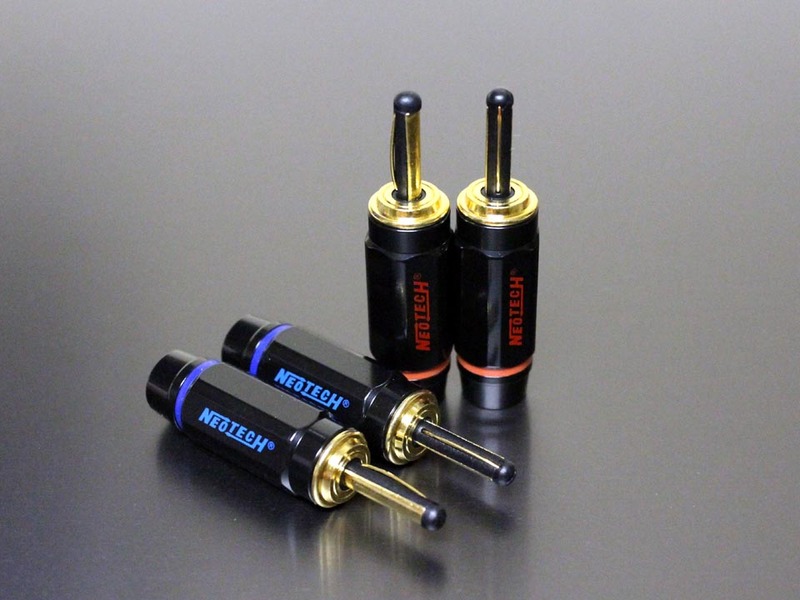 Neotech's NCB-80 is a low mass, minimal contact, banana connector with a Gold plated UPOCC Copper conductor. Cable opening is .315"/8mm, and it accepts up to .212"/5mm wire. Set screw termination.